As hard as it is for us veggie loving people to believe, our cats actually have no dietary need for carbohydrates. In fact, due to their unique physiology, they have a tough time digesting any kind of plant matter. So while they may love vegetation, it’s only to hide behind while they stalk the mice and other prey that give them what their bodies really need: animal protein. 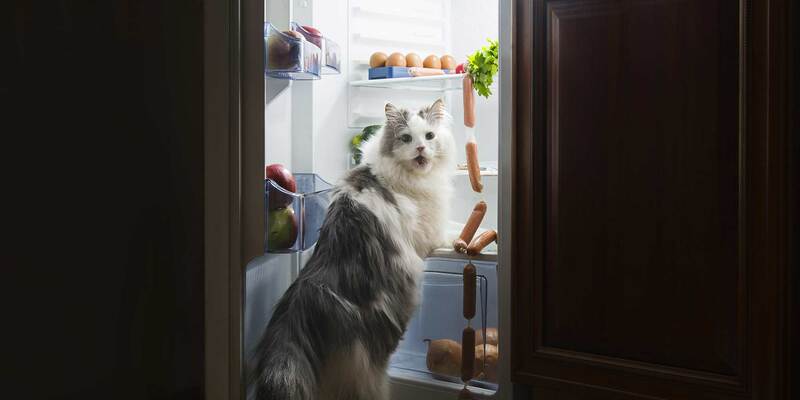 All cats are “obligate,” or true carnivores. Which means they have to eat a diet rich in meat. Unlike us, their bodies are unable to combine incomplete plant proteins (such as beans and rice) into complete amino acid profiles. Which is a fancy way of saying there’s no possible way to meet your cat’s nutritional needs on a vegan diet. So when planning your feline’s meals, make sure quality meats are always the main ingredient, as they are in all Fussie Cat recipies. And if anyone asks, tell them your companion is an Octo-Beefo-Porko-Pescatarian.